After the Civil War, everything changed. The American landscape was flush with important social issues. It was a new age, and people were realizing the possibilities. No Clergy. There is no hierarchical structure in Quakerism. No priests, no ministers. No King of England to support. No Pope either. Everyone talks, everyone bears witness, everyone has a personal relationship with God, and everyone shares their experience with everyone else. And there wasn’t a whole lot of pageantry and symbolism either. Services were called meetings, and only two people gathered together were considered a meeting. Gender equality. What? Hang on a second. You mean that these people waaaaay back then thought women were equal to men? PREPOSTEROUS! Shaking my head here. That’s just crazy talk! Those zealous Quakers let chicks preach, learn to read, participate in society…. What the WHAT?!?! Simplicity. They enjoyed nature and all that silliness. And fanciness was distracting and pointless. So, the women didn’t have to spend six hours every morning lacing corsets? Nope. They still dressed in clothing of the times, but, they were modest, nonetheless. Community. Love your neighbor as yourself. And help your neighbor. (This is WHY they were also called The Society of FRIENDS.) It takes a village, people! Quakers used God’s resources wisely– their talents, their possessions, and the world in which they lived. They were the earliest environmentalists. Even waaaaaay back then, they sought ways to reduce, reuse, and recycle. Holy cow. SOMEONE STOP THESE LUNATICS! Integrity. Consistency. You walk the walk, you talk the talk. “Let your yea be yea and your nay be nay.” Be authentic. You walk with God, you live your inner experiences outwardly. Going to church on Sunday and then acting like a jerk the rest of the week is a no-no. 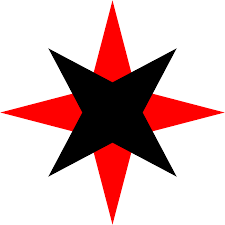 Quakers don’t take oaths because they believe in always telling the truth, regardless of the situation. Honesty, fairness, and personal responsibility. And consequences. Peace. War, war, war. Fiddle-di-dee. They sit down and talk about things. In their renouncement of violence, they sought to eliminate sources of conflict such as poverty, intolerance, and exploitation. Science. Shut the front door! Yep. Those nutty Quakers actually wanted to know why stuff happened and how things worked. Not that they thought God didn’t have a hand in the world, but they didn’t think everything was without scientific explanation. One of the reasons the Puritans accused some of the Quakers of witchcraft was because of their closeness to nature and their understanding of science in it. As if educating girls and black people wasn’t bad enough, those weirdo Quakers wanted to educate poor kids. OH THE HUMANITY! Check out all those Quaker women mingling with and acting all equal to those Quaker men. Until the mid 19th century, education in England was tied exclusively to the established Church of England, and non-members were denied an education. So, if you weren’t a member of the Church, your kids couldn’t go to school. Since the Quakers had little formal religious ritual and pageantry, their relocation allowed them religious and educational freedom. Now that you know the type of communities in which both William and Helen were raised, their activities as adults probably won’t seem as surprising as they might had they been raised in more strict, “traditional Christian” households. 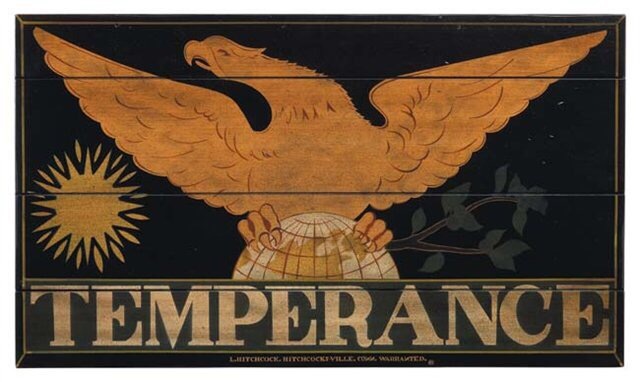 Illustrations like this were common, and helped spread the word about Temperance. Even though the Starretts were practicing Presbyterians, they had grown up in this Quaker culture. From early childhood, these Quaker roots had deeply instilled in them their sense of gender and racial equality and placed a high value on education for everyone. They both were active in abolitionist causes during the Civil War and universal suffrage* afterwards. The first time their activism began making news was when William began lecturing on temperance—which, believe it or not, is directly tied to female enfranchisement. People who know me are laughing. Not about the education because I am kind of a history nerd (in case you haven’t noticed yet). But about the temperance. I just like this bottle of Temperance Whiskey, so I included it in the little paragraph about me. I don’t drink much, but I’m no teetotaler! The apple fell a little further from the tree on this one. You see, I’m not saying that I’m an alcoholic—not even close. I enjoy a beautifully garnished beverage in a fancy stemmed glass vessel every now and then. I’ve also been known to take advantage of a fine, vintage grape juice on occasion. And when it comes to a certain thick and creamy pint of deliciousness that may, or may not, come from Ireland and have been pulled from an elegant tap in fine establishment…. well then … And, OK, fine. I’ll admit it. I’m no stranger to a red Solo cup or a flask pulled from a sporran on a cold and misty day either. 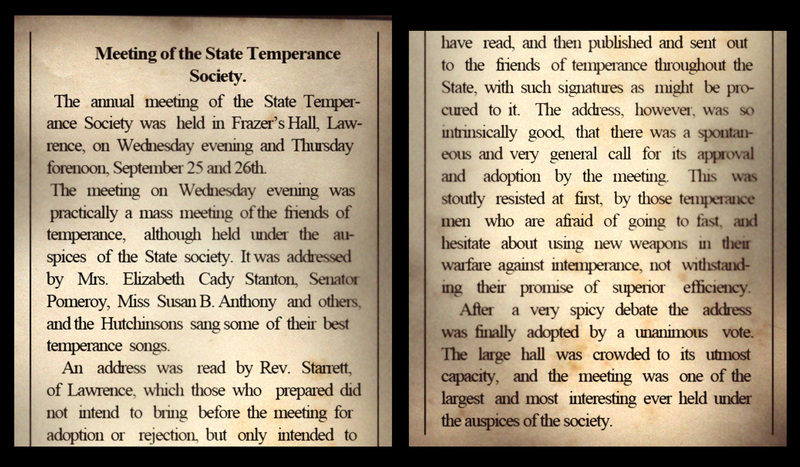 So my being descended from Temperance supporters is pretty funny. But, I digress. After the War, times were crappy for everyone. The thing about a civil war is that the battlegrounds are in your own backyard—and so are all the casualties, widows, orphans, injured, homeless, refugees, veterans, and all those who suffered PTSD and other post-war mental illnesses. At the same place. At the same time. Coexisting. Recovering. Starting over. In the same place. At the same time. And it’s hard stuff. Stock photo of some Union Soldiers kicking back at one of their camps having a drink and a smoke. It’s l likely that soldiers from both sides drank excessively throughout the Civil War for myriad reasons. Due to the lack of understanding, veterans services, resources, and education, a lot of men turned to excessive alcohol consumption as a coping mechanism. Besides the fact that drinking anywhere, anytime, was socially acceptable, it was often unavoidable. In those days, most beverages were distilled or fermented as a way to avoid illness and prevent spoilage due to bacterial contamination. Clean, fresh water wasn’t just available everywhere. The Drunkard’s Progress. Illustrations like this were used to show how easily a little drink can ruin lives. One of the main reasons women jumped on the Temperance bandwagon was because of the increase in domestic violence. Men who worked in hard, physical jobs often drank while on the clock (this was not frowned upon yet)—and some men actually received a portion of their paychecks in liquor rather than money. Alcoholism was rampant, and countless husbands and fathers died from alcohol related incidents while a good many more abused their wives and children while under the influence. Others simply left their families destitute as a result of their drunkenness. The temperance movement sprung up as a way to combat this because it was tearing families apart and leaving women with houses full of children and no means of support. A woman had no control of her family’s finances and in most cases was unable to find adequate employment herself. She couldn’t file for divorce from an alcoholic husband. If a man bankrupted his family by spending an entire paycheck on alcohol, went home and raped his wife and then beat his children, he was completely within his legal rights. Men like William wanted this to change. He had a very smart wife, and he knew women were capable of more than just housekeeping and childrearing. As the respected pastor of the First Presbyterian Church in Lawrence, he carried a significant amount of influence, and he used it to bring forth societal change. The Starretts had become friends with former Governor Charles Robinson, and it was through him (and their connections in the east) that they were able to connect with others on the national stage. Article from the Wyandotte Commercial Gazette, Sept 28, 1867. In the beginning, William spoke at local meetings about temperance with those who were traveling in support of suffrage and temperance. Among them: Susan B Anthony, Elizabeth Cady Stanton, Frances Murphy, George Francis Train, and others. Helen also began lecturing. She quickly became a highly sought after speaker who travelled widely. She also started writing for regional publications like “The Independent Magazine” in New York and for Susan B Anthony’s suffrage publication, “The Revolution.” She wrote on female issues—as a mother, wife, housekeeper, nurturer, and overall contributor to society. She and William both believed that women could “do it all,” and they weren’t afraid to talk about it. She was a highly educated woman, and as such, felt it was her duty to share her education with those who hadn’t been as fortunate, and lecturing was her way of doing so. 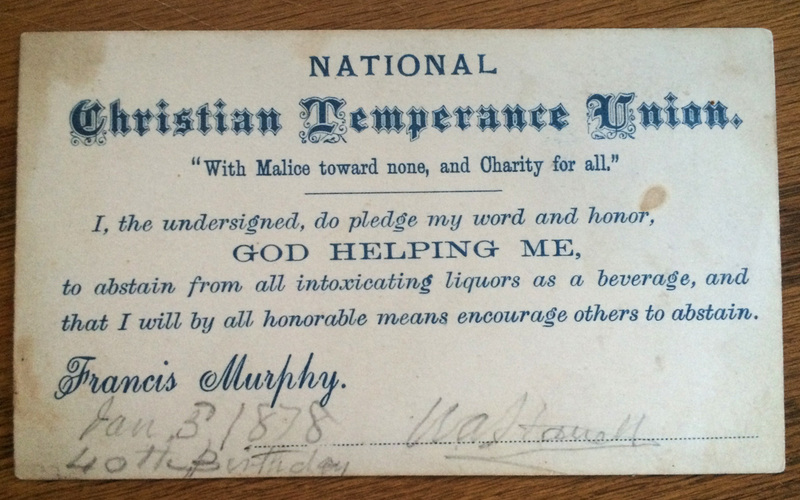 William Aiken Starrett’s Christian Temperance Union Card, signed on his 40th birthday, January 5, 1878. Card in the Dirkes/Phelps private archives. In “The House that William Built,” I wrote about William’s intellectual abilities and how he had probably missed his calling when he chose the seminary rather than architecture. He was a deep thinker, and his voracious appetite for knowledge kept him constantly reading and learning. As a kid fresh out of Jefferson College, he had sought the advice of his fiancee’s father, who’d probably leaned on him pretty heavily to go into the seminary. Intent on marrying Rev Dr Ekin’s daughter, he went to Princeton, became a minister and then a pastor, married his childhood sweetheart, and started a family. All the while, he and Helen had been reading and studying and learning together. And together, they had fallen in love with the writings of Thoreau and Emerson. They became increasingly interested in the concepts of Transcendentalism and Unitarianism and they liked it. So when Helen’s father died in late 1869, it wasn’t surprising to see that shortly thereafter, William resigned from his congregation in Lawrence and severed his relationship with the Presbyterian Church. 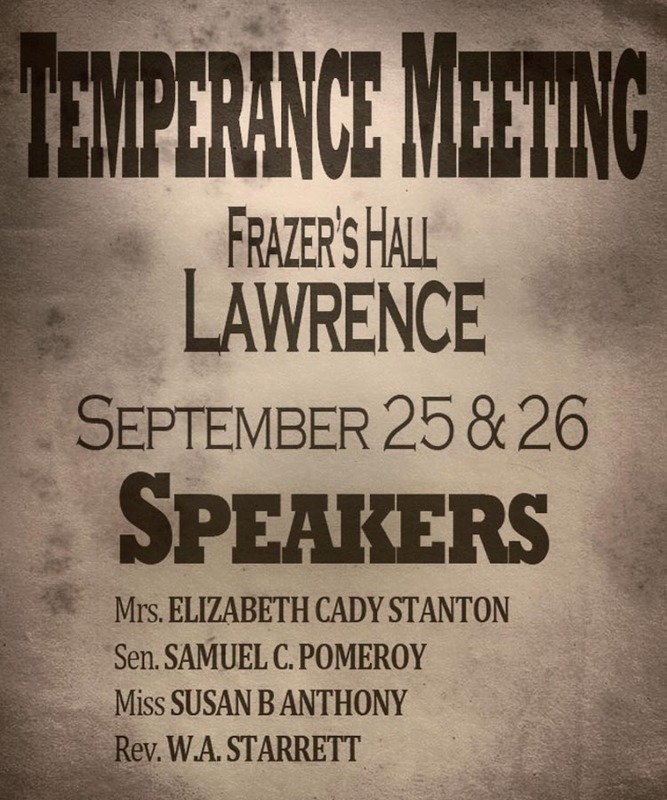 The Starrett children all signed a Temperance Pledge at one of Frances Murphy’s Temperance Meetings in Lawrence. Since they were all pretty young still, they most likely signed a Family Pledge like this at one of the Camp Meetings at Bismarck Grove, Lawrence, Kansas. Stock photo. The freedom they must’ve felt! In the 1860s, established Christian dogma required a certain level of fundamentalism with which they were no longer bound. Within the confining parameters of the church was a measure of inequality towards women and suppression with which they heartily disagreed. But with this freedom from their religious confines, they found themselves without a steady income. Helen was an educated woman of action and determination. While William began to study the law, Helen took over as the primary breadwinner for the family. Just imagine. In 1870, a father of four (at the time—they would still have three more children) quit his job and his wife went to work as the sole breadwinner and only financial support while he went back to school to study the law. AMAZING. Something like this was even a rare thing 100 years later in the 1970s! Their change in religious beliefs and their separation from the established Church did not change their ideas about temperance or suffrage. In actuality, it probably cemented it, showing the world that they practiced what they preached. They still believed that when men held all the cards in a family, and that man was drunk, his wife should have some recourse. And they believed that since men and women should be educated equally, they should be treated equally in the eyes of the law. Though William was no longer speaking from his pulpit, he still had influence. Through his legal studies, he was planning on making change in the world through legal channels. Helen was appealing to the masses through the spoken and written word. And they were raising their children with those same values. Julie, I am the Great Grandson of Dr. Walter Bunn and I enjoyed your research about the Bunn-family. My Grandmother was Dorothea Bunn–his daughter. There is a picture of the “castle” that appears to have been taken in the winter–lots of snow–in our “Long’s Legacy” book. Walter! OMG I can’t wait to search for this book!!! I know this is going to sound very strange, but I feel like I know your family so well. In researching the house, I followed their every step as best I could, trying to trace the history of the house. I almost feel like it’s a common relative, somehow. One thing that was killing me– I really would’ve loved to have included pictures of your great grandparents and your grandmother and her sisters. I cried when her brothers died. Do you possibly have any that I could share? This was a fantastic way to wake up!!!! Walter, I just did a search for the Long’s Legacy book and I can’t find a copy anywhere! Can you do some scanning for me? I loved, loved, loved the view into Quaker life at equality of women and importance of education. You’ve whetted my appetite for more information. I know, right?!?!? I never thought I might actually be interested in Quakerism until I started this piece. 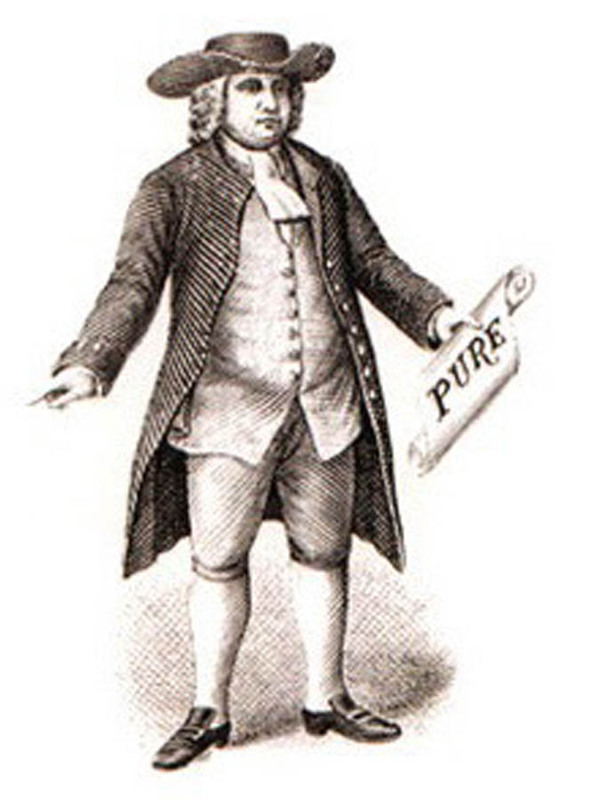 I think a lot of us get Quakers and Shakers and Puritans confused because of the hats and shoes! The more I read, the more I wanted to know. It’s just so open minded and modern and amazing for 150-200 years ago! I graduated from a high school in NY and our “mascot” was the Quakers. It didn’t seem odd at the time. But several of the girls I knew were Quakers. Definitely feminists. Thanks for the link! I know my list wasn’t the most serious of pieces, but it was a fun one to write and I hope it shows just how not-crazy the Quakers were. Appreciate the link! Thanks!